Securious are building an amazing team. Our commitment to our staff includes an opportunity to gain industry recognised qualifications as part of their career development. In the last twelve months we have had the privilege of working with Kai and Rebecca from Plymouth University during a work placement year. We wanted to ensure they gained both valuable experience, and achieve an industry recognised qualification. Kai is now a Crest Registered Penetration Tester and Rebecca has completed the eLearn Security Junior Penetration Tester certification. This will give them both a great platform to launch themselves from when they finish their degrees next year. 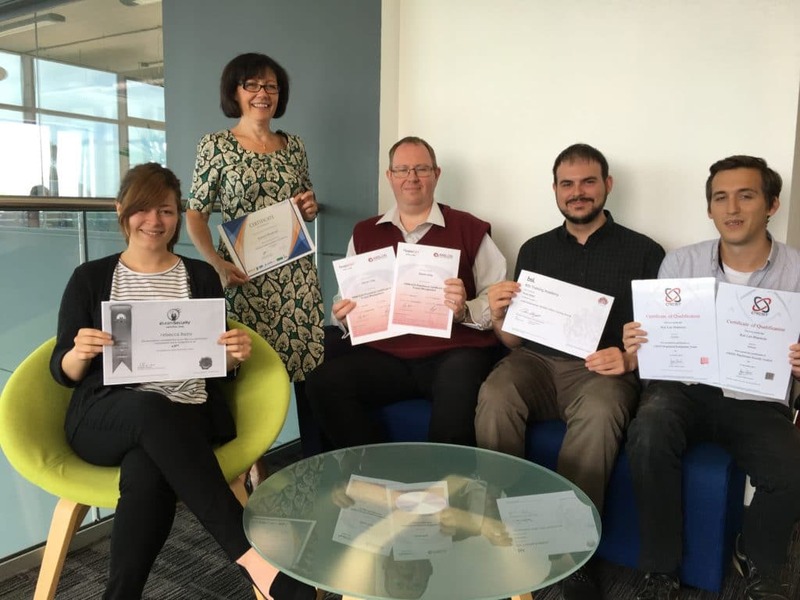 Our Operations Manager, Darren, has been awarded the Prince 2 Foundation and Prince 2 Practitioner certifications this year. This is helping him to ensure that all our projects are completed in an efficient and timely manner, and he thoroughly enjoyed a week out developing his skills. Stuart, our Cyber Security Technical Team Lead, was already hugely knowledgable about ISO 27001:2013. He became an ISO 27001:2013 Lead Implementor this year with BSI and we are looking forward to extending his qualifications further in the near future. Finally, Roz, already an ISO 27001:2013 Lead Implementor, added Certified EU GDPR practitioner to our skill set last year to ensure that all our cyber security compliance incorporates the new requirements and to help clients maintain their ongoing GDPR compliance.